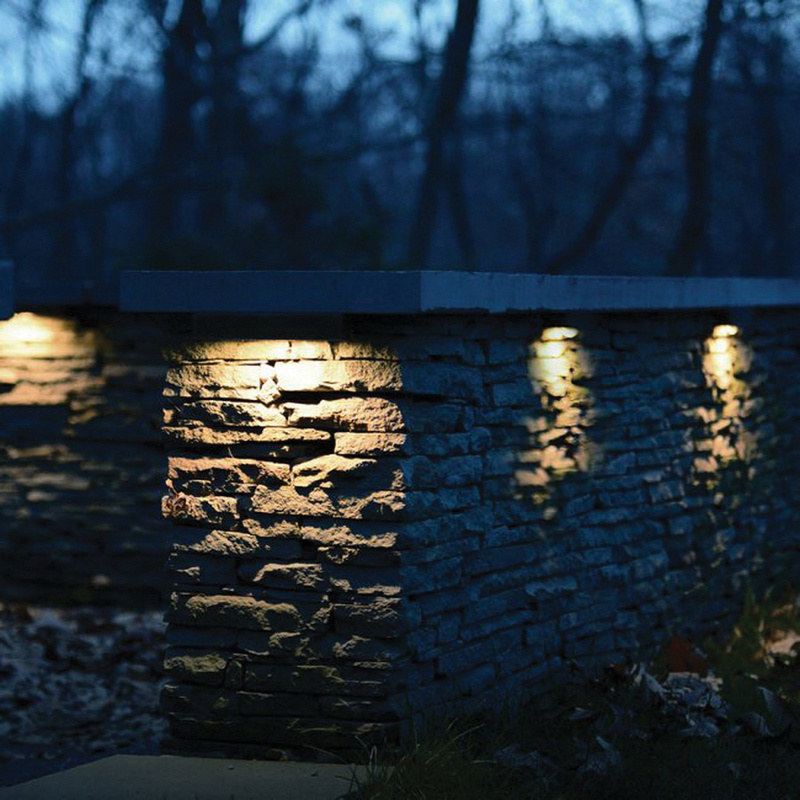 WAC Lighting Landscape hardscape strip light uses one 90+ CRI 2700K 6.5-Watt LED lamp for offering 185-Lumens of light output. This 6.5-Watt light features aluminum construction and bronze finish. It has voltage rating of 9 - 15-Volt AC. It measures 13-1/8-Inch x 2-15/16-Inch x 13/16-Inch. This light with white glass diffuser shade, has average life of 70000 hours. It features translucent diffuser to eliminate the worrisome hotspots for even light projection. This light has IP66-degree of protection. Light is UL listed.